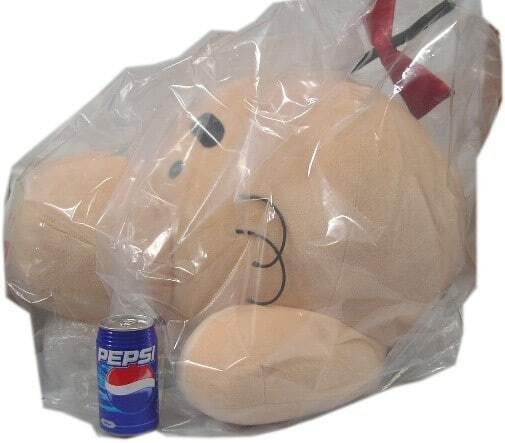 We’ve already witnessed how people in Japan have been buying the new giant Mr. Saturn plushies just to turn around and sell them for a lot, and now we have the very first giant Mr. Saturn on eBay too. The giant plushies cost approximately $120 to buy, and buyers are selling them for $200 in Japan. But how much are they being marked up outside of Japan? 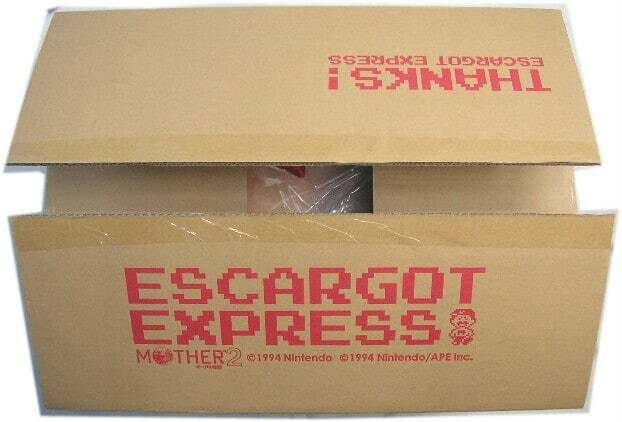 I opened the box, in order to take a photograph. It is precious in it being a new item, and new. How is it in your room? . The place which goes to sleep is lost. It is large size. Height. About 45cm (17.5 inches) It is not exact. It is about 17.5 inches. A box is also precious. VERY VERY VERY VERY RARE!! New member notice. A buyer, a notice with a problem. How much!? It might be cheaper just to fly to Japan. 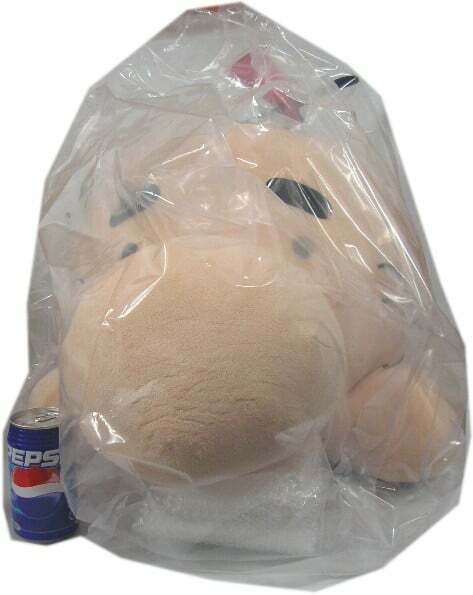 Geez, I love Mr. Saturn, but could never ever justify spending that much on him. I’d rather just buy some of the Mr. Saturns people make on etsy. 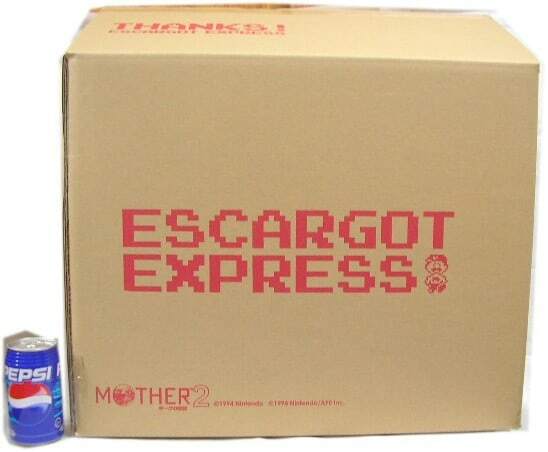 🙁 Us Mother fans certainly must be easy targets to take advantage of if these are going for $800… ugh. Much like the 1+2 art book going at over $100, this isn’t a realistic price. If it’s going to go that high, you may as well set it low, and let the bidders chase it up. We all know how much these things really go for, so trying to make 3 times the profit (or thereabouts) is just stupid. Clever in theory, until you realise nobody’s got that much money thanks. Ouch… Looks like I’ll have to make my own, then. 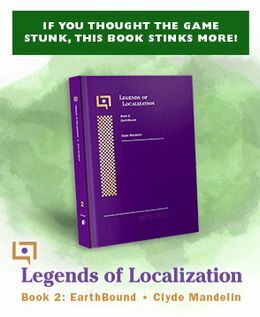 I love the description, though. Good lord, I hate that seller. He/She always prices things WAY up. makes me sick. If I saw one of these for maybe… $150, I’d get it…If Plushraysetiger made one that size, I’d get it… However, I’d much rather have the ArtBook and Plushie. I might buy itl… but it had BETTER come with the Pepsi! Why exactly is there a pepsi? biehlza: Because it’ll be thirsty after its’ long journey. :O I could probably buy a mansion after selling off all of my MOTHER stuff! 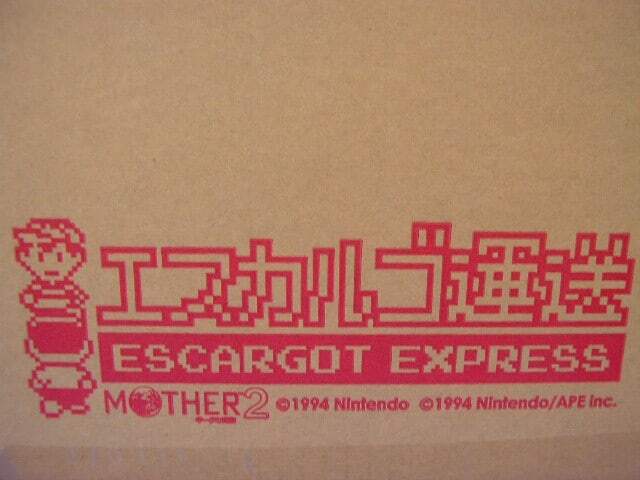 Screw the stock market, MOTHER merchandise is the soundest investment choice! Also I think that pepsi can is for scale. Its foot is tall as a pepsi can. 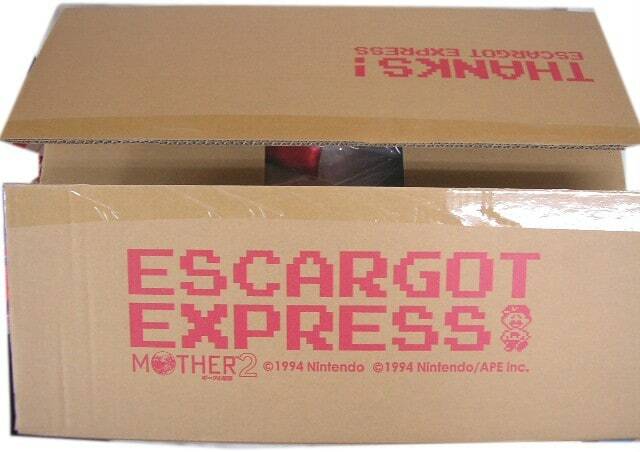 Loving the Escargo Express box design. LOVING IT. I was under the impression that you had to be rich to get this anyway. Price x 4 would be, like, mega super rich. !!!!! Someone is trying to choke Dosei-san through plastic bag! I bet it was the Pigmasks!